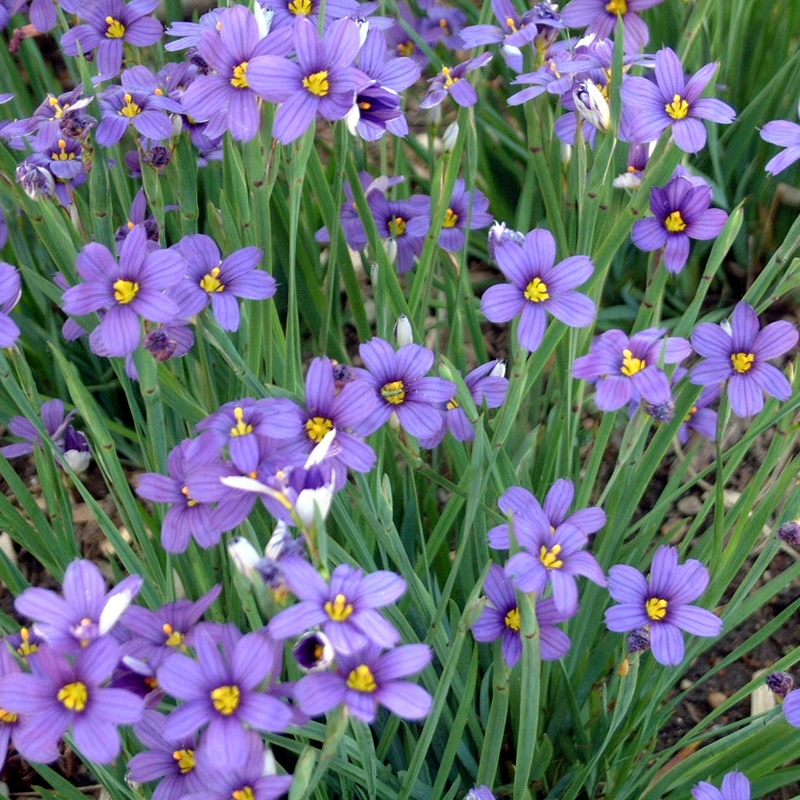 Sisyrinchium 'Lucerne'. 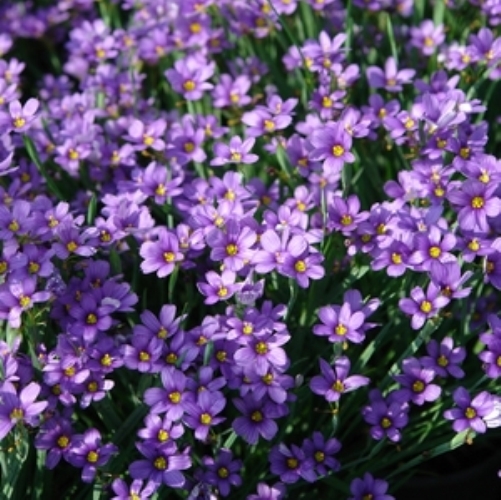 A perennial "grass" with an early season bloom of purple-blue star-shaped flowers above spiky dense clumps. You will enjoy the flowers for up to 4 weeks. While this beauty looks and acts like a grass it is actually a member of the iris family. Low maintenance, a super choice for landscaping along a walkway or the front of a border. A great coral bells companion plant that often re-blooms.